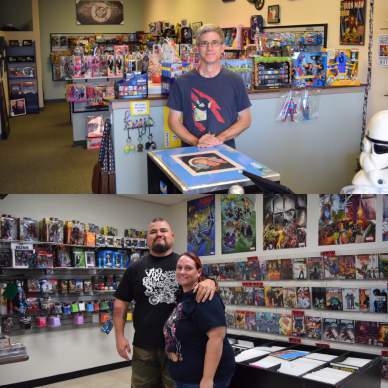 (Victor Valley)—It has been years since the High Desert has had a comic book store, but within the last few months, that has changed. 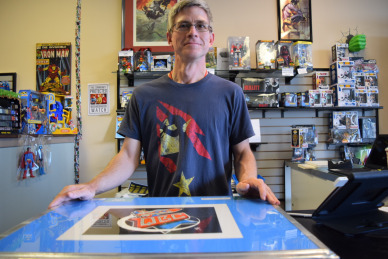 Now, for the first time in a very long time, the High Desert is home to two new comic book shops, with owners that are no strangers when it comes to the world of comics. Each shop is now open, and each has something unique to bring to the community. 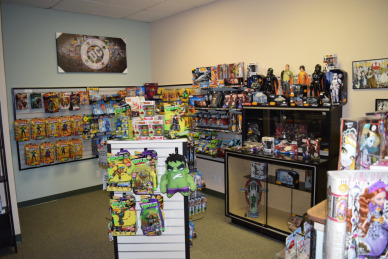 In Victorville, nestled in the Carriage Square off of Hesperia Road is QBC Toys and More. 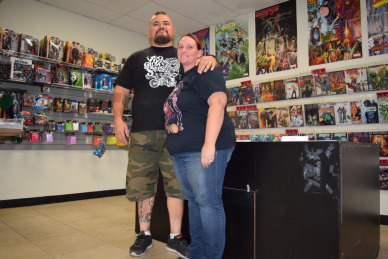 Owned and operated by the Robert and Crystal Lamphere, QBC just opened in September, but Robert is no stranger to comic shops in the High Desert, having managed another comic book store Victorville years ago. But why open a shop now? The comic book medium has garnered a lot of buzz in the last few years, as comic books have taken over Hollywood, and look to continue to do so for the foreseeable future. What was at one time a niche hobby market has now returned to the spotlight, gaining new fans every day thanks to films like The Avengers and Man of Steel, and television shows like The Flash and Agents of S.H.I.E.L.D. 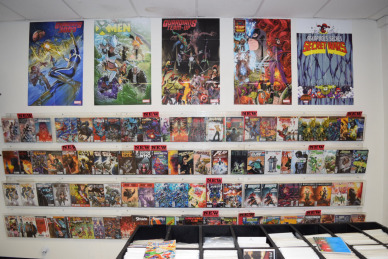 With the comic book medium comes collectibles, toys, games and more, as each shop has a variety of products besides comics. Comic Cult HD has had an influx in customers interested in the gaming aspect of the store. From the ultra popular HeroClix game, to Magic the Gathering, Yu-Gi-Oh, and more, the desert now has place to come out and play. With customers coming out all the way from Barstow for a new HeroClix release, it shows that the need for a shop that carries more than comic books. But for Henrich, the focus is, and will continue to be, comics. For QBC, who has an abundance of collectibles, action figures and the insanely popular Funko POP figurines, the plan is to help spotlight local talent, as the High Desert and the Inland Empire has an abundance of local artists and writers. Previous Valiant to Supply Retailers with Customized Battle Axes for Launch of WRATH OF THE ETERNAL WARRIOR #1 – On Sale November 18th!